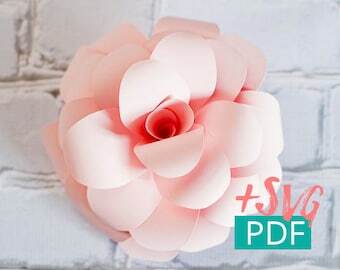 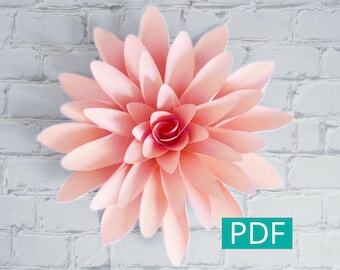 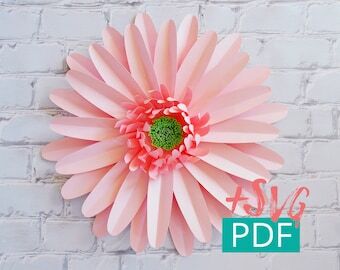 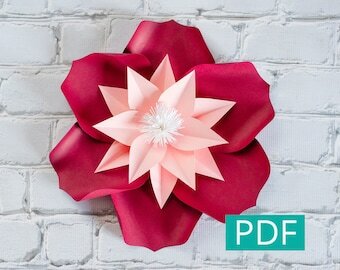 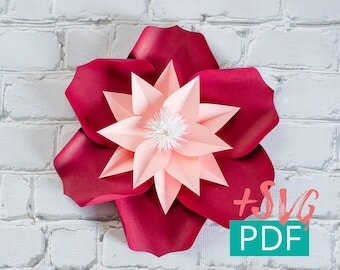 After purchase of this listing you will receive a PDF document including both templates for the creation of this beautiful paper peony, and steps-by-steps instructions. 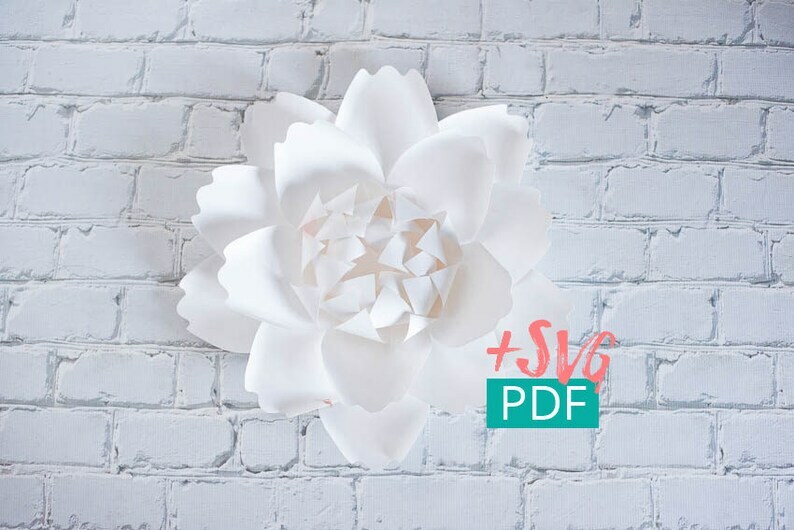 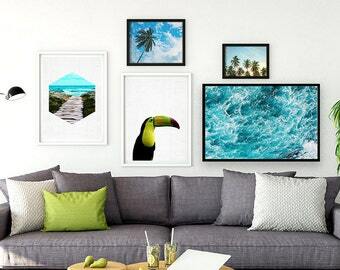 You will also receive SVG files to cut the templates onto your cutting machine, such as Cricut for example. 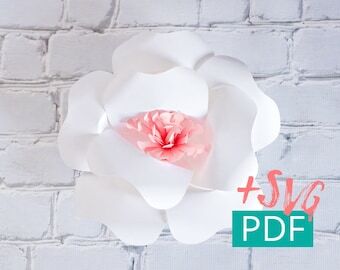 The templates will be printed on standard 8 1/2 "x11" letter paper and will give you a paper peony of approximately 45 cm (18 ") in diameter. 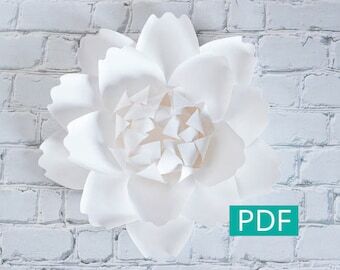 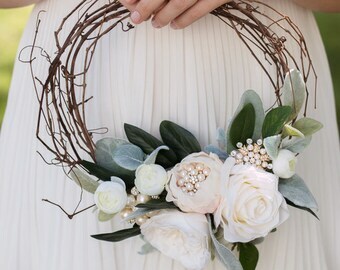 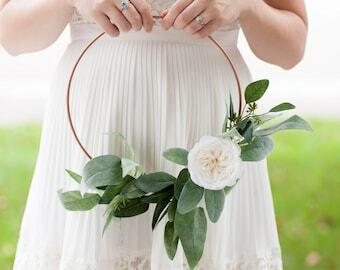 It is also possible to adjust the scale of your template to make smaller peonies at print. 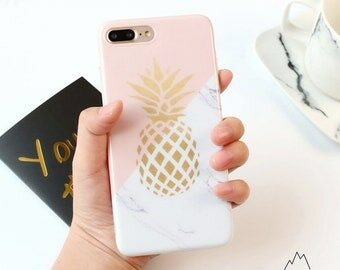 For a larger peony, we advise you to go at a printing house, and they will be able to print your templates on larger paper format. 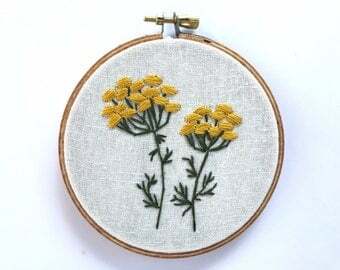 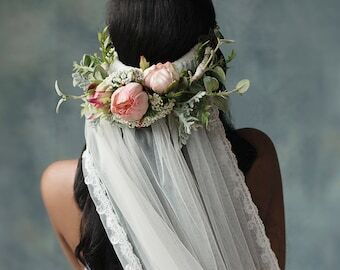 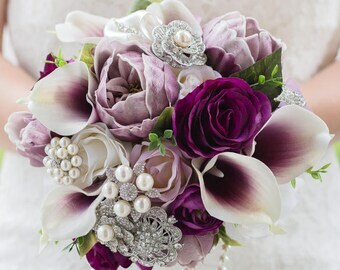 Thank you so much, flowers are beautiful!